The good news is that for most players, they don’t ever matter. Unless you have $10,000 to spend, you can forget that you were ever curious about Sigils. You can basically give yourself a memory loss pill. Or you can just continue your habitual ritual of smashing your head against the table. 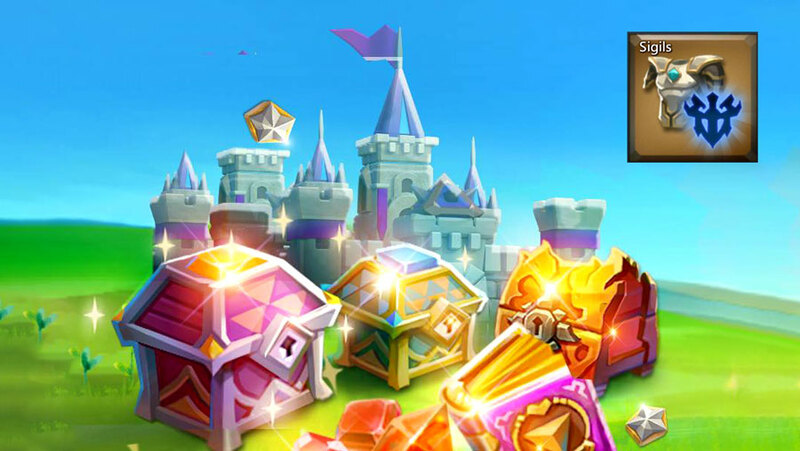 It is very important to note – that as of Feb 2019 – only 2 Sigils have been released by Lords Mobile. It is safe to say that they will release many more Sigils as time goes by. 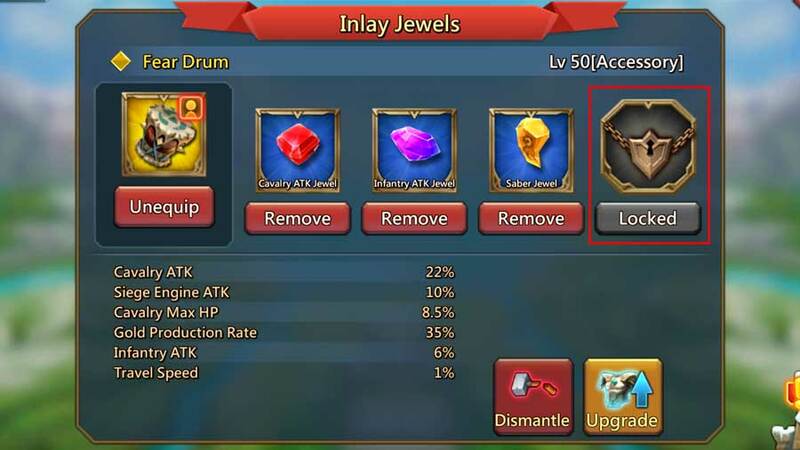 Sigils are the 4th slot add-ons that can be placed onto your equipment (the first 3 are for jewels). They are the long-awaited locked slot! Just like jewels, you will need to extract sigils if you want to put another sigil inside! Important Note: Your Sigils will need to be at the same level as gear! So if you have a gold Fear Drum, you will need to get a gold Sigil to put inside. Lords Mobile really went to town on this update. And when I say really, I mean really! In order to unlock the ability to buy and then place Sigils into your equipment, you have to first unlock the Sigils. In order to unlock any of the sigils, you first need to unlock a bunch of random upgrades in the Adacemy. 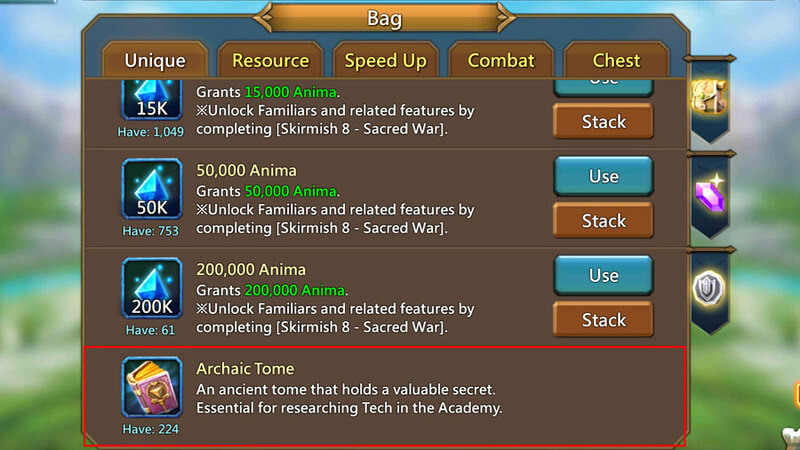 In order to make any of those upgrade, you’ll need to purchase Archiac Tomes. 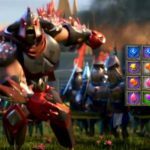 As I said, Lords Mobile went to town on us! And it’s all about the money! It always is! Yes, I’m using a lot of exclamation points! Archaic Tomes are little book icon upgrades that you are required to use if you want to make any upgrades within the Sigils Tree. They can be earned in events and prizes in very small quantities. The most common place to purchase them, however, is in the store. The $5 pack will give you 85 Archaic Tomes. It’s expensive, but that is what it costs to enter the Sigil territory! Let there be no surprises. This is probably the best part of the sigils. It’s a complete rip-off, but if you are doing it anyway, you’ll love this bonus. It will require a guild effort as well, but it will make taking base and forts so much easier! The Wolfpack Sigil enables you to boost your fort and base rally as a participant (not as a rally leader). It’s effective! If every member of the rally has the Wolfpack Sigil enabled, the entire rally with have a 100% boost. That is a lot! The good news for F2P players is that Wolfpack sigils only work for forts and bases. The whale (big bully) guilds won’t be able to use their Wolfpack Sigils when rallying against other players. Kind of a waste of time! The Shadow Sigil hides you gear, but it’s kind of pointless! You can already hide your gear. It’s called SWITCHING GEAR! 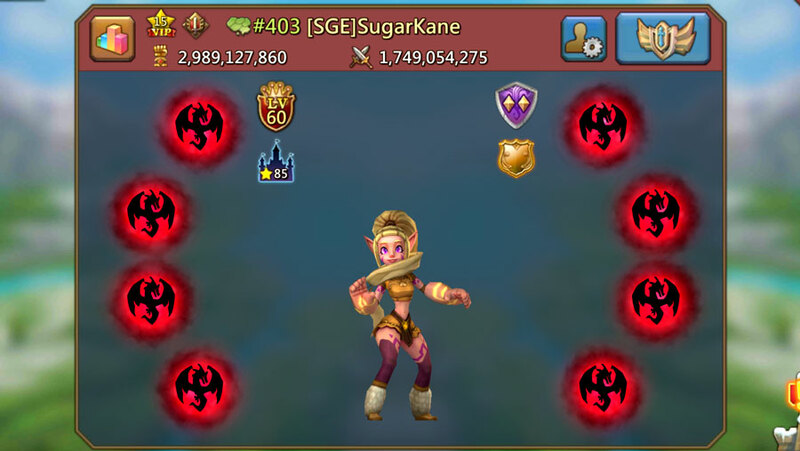 IGG is either not paying attention or just drunk with power! And the graphics on the Shadow Sigil are ridiculous. They’re basically pixelated. Mario cart looks more advanced then those pathetic dragon logos. In short, don’t bother buying any Shadow Sigil packs unless you have so much money that you don’t even care. At that point, my recommendation would be to sponsor a little to charity while you are at it. Are sigils the end of F2P players? Should you quit now that Sigils are on the market? F2P players were always at a disadvantage. Now their edge has merely been decreased by another 1%. I’m not too worried. The mountain that IGG has been slowly chiseling at has already turned into a ditch ages ago. 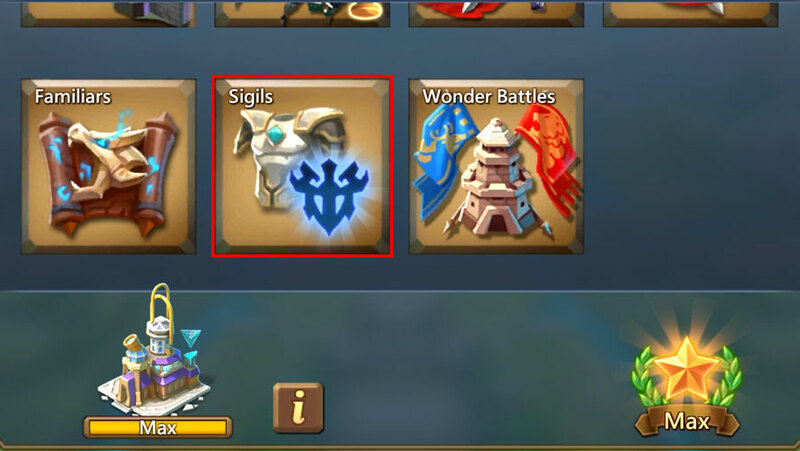 So are Sigils going to end F2P players? No. F2P players have long been dead. The problem is that the the ghosts still think that they are alive.